The common methods of food analysis (food diaries, 24hr recall and the food frequency questionnaire) rely on the participant to recall or record the foods that they eat, and estimate or measure the amount of food eaten. Using photographs of their food, it may be possible to more accurately estimate the quantity and type of food eaten. Currently, there are several popular methods for recording a person's food intake - using a 24-hour food recall, completing a Food Frequency Questionnaire, and filling in a Food Diary. No one method is a perfect solution and each has its pros and cons. Remote Food Photography Method (RFPM) involves participants capturing pictures of their food (Martin et al., 2009#1). The subjects take two photographs of each meal: one at the beginning of the meal and one at the end documenting the leftovers. These images are then uploaded where they are analyzed by Registered Dietitians to estimate food intake. In order to estimate food portions accurately there needs to be a reference in the pictures to account for the viewpoint and distance of the camera. This is achieved by placing a reference card next to their food before taking a picture. It is also possible to use a computer imaging application to automate this estimation of food intake based on pictures captured by participants (Martin et al., 2009#2). Another proposed method to analyse the photos is to use crowdsourcing (Noronha et al., 2011). Does not rely on the participant to recall or record the type and quantity of the food that they eat. 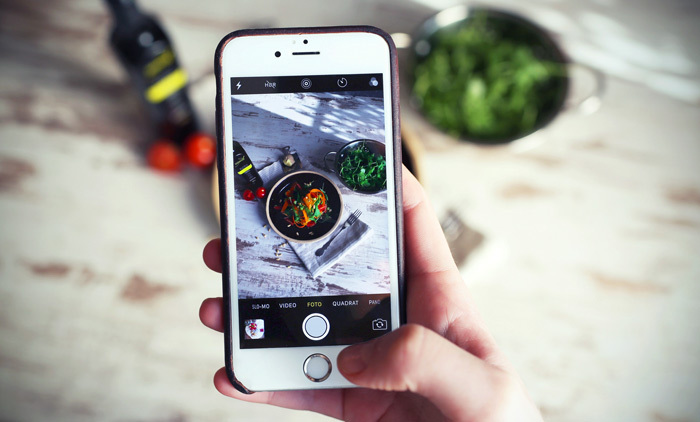 This method is more time consuming, and requires the correct technology and skill of the participant to accurately take photos of their food and upload the resultant images. Martin, C., Han, H., Coulon, S., Allen, H., Champagne, C., and Anton, S. (2009#1)A novel method to remotely measure food intake of free-living individuals in real time: the remote food photography method. British Journal of Nutrition, 101, 03 (2009), 446–456. Martin CK, Kaya S, Gunturk BK. (2009#2) Quantification of food intake using food image analysis. Conf Proc IEEE Eng Med Biol Soc. 2009;2009:6869-72. doi: 10.1109/IEMBS.2009.5333123. Flash Diet - requires you to take a photo of all the food you eat. The diet is based on the principle that by taking a photo of the food you eat you will make better food choices.